Let me make one thing very clear: I have no love for House Speaker Paul Ryan. He has an “A” rating from the National Rifle Association, a zero out of 100 from the Human Rights Campaign, and described himself in 2010 as being “as pro-life as a person gets.” But less than a year into his Speakership, factions within the GOP are allegedly pushing for Ryan’s ouster, questioning the speaker’s loyalty to the party nominee, Donald Trump, and spelling disaster for the Republican Party. It’s important to remember that Ryan only reluctantly went for the Speakership after a group of ultra-conservative Republican congressmen, known as the House Freedom Caucus, precipitated the surprise resignation of the previous House Speaker, John Boehner, who stepped down last October. The move was largely orchestrated by Rep. Mark Meadows of North Carolina, who is also leading the current surge against Ryan. “A lot of the people who believe so desperately that we need to put Donald Trump in the White House — they question the loyalty of the speaker,” Meadows said on the Tyler Cralle show Thursday morning. Meadows’ attack comes after a particularly trying time for Ryan, who has struggled to campaign for congressional Republicans against the backdrop of their extremely divisive presidential candidate. 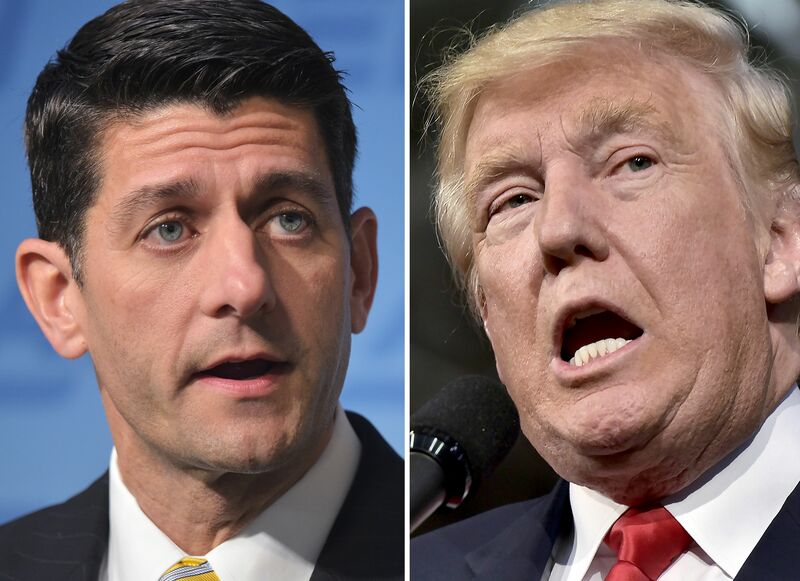 Earlier this month, following the release of the so-called “Trump Tapes,” in which Trump is overheard making extremely lewd remarks about women, Ryan said in a call to the Republican Conference that he wouldn’t defend Trump’s remarks, nor would he continue to campaign for the candidate. Instead, Ryan advised Republican Representatives on the call to “do what’s best for your district,” according to one source. Whether Meadows’ plan to remove Ryan from the Speakership is successful may hinge largely on what the political landscape looks like on Nov. 9 (indeed, though the odds are pretty long on Democrats winning a majority in the House, it’s not outside the realm of possibility). It’s even difficult to say what would be worse for Ryan — a Clinton landslide, a narrow Trump loss, or even a Trump victory. What is certain, though, is that this further signals discord and fragmentation within Republican Party — to the extent that it may make it untenable for the party to continue governing. What Meadows seems to fail to understand is that the power he wields being a part of a caucus within the governing party is that part of what gives him his power is the cohesion of the majority. As he cannibalizes it by going after consensus leaders — that is, leaders that members of the party can agree on — he further risks actually breaking the party in half. It’s hard to know what the fallout would be if that happens, but Meadows could find himself in a much worse position of power because of it. Assuming that Trump loses the presidency (and at this point I assume nothing), the Republican Party has a lot of soul-searching ahead of it. If they’re unable to locate a consensus moderate position within their own party, one that sheds the blatant racism of the current candidate, then Grand Old Party might soon become the Grand Forgotten Party.